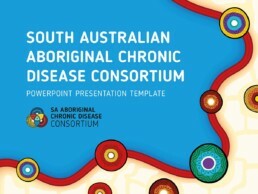 The South Australian Aboriginal Chronic Disease Consortium’s (SAACDC) aim is to drive, coordinate and sustain a sector approach to the implementation of the SA Aboriginal Heart and Stroke Plan, South Australian Aboriginal Diabetes Strategy and the South Australian Aboriginal Cancer Control Plan. 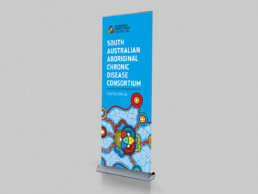 Dreamtime designed new branding and a website for SAACDC. 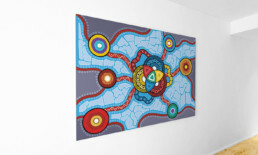 We created an Indigenous artwork representing SAACDC helping Aboriginal and Torres Strait Islander communities via the three streams. From the artwork a logo was derived. 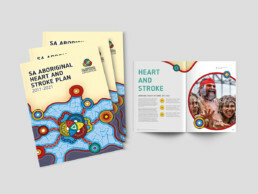 The expanded brand includes templates for health plans, banners, emailer and a range of Microsoft templates.